30% of faculty say they are “aware” or “very aware” of OER, up from 26% last year. 9% of faculty report having adopted an open textbook, up from 5% last year. 44% of faculty say they will use or consider using OER in the next 3 years, up from 38% last year. The report was shared widely on twitter and was also covered by Inside Higher Ed. CANADIAN GOV SUPPORTS OER PILOT: At the urging of the Canadian Alliance for Student Associations (CASA), the Canadian federal government’s Standing Committee on Finance recommended that the government create a pilot program to provide students and faculty with incentives to develop OER. The Committee’s report will be considered by the Minister of Finance in the 2018 federal budget process. HEA MOVEMENT: The U.S. House Committee on Education and the Workforce passed a Republican version of the Higher Education Act Reauthorization (HEA) last week. HEA is the federal legislation that governs higher education in the U.S. and has not been reauthorized in nearly 10 years. An amendment to add the Affordable College Textbook Act to HEA was proposed by Rep. Jared Polis (D-CO) to raise awareness about OER but it was known in advance that the committee was unlikely to adopt most amendments. OER advocates in the U.S. will be working with champions in the House and Senate to find other opportunities for OER in HEA. HAPPY HOLIDAYS: The OER Digest team wishes you a happy holiday season and a wonderful new year! Stay tuned for the next Digest on January 11th. US AGENCIES STEPPING UP: The U.S. Department of Education adopted an open licensing policy for grant-funded educational materials while the Department of State developed a Federal Open Licensing Playbook. NEW ACTORS: Businesses started offering OER through their proprietary platforms including Cengage, Follett, VitalSource, Barnes + Noble, and Top Hat. This represents a significant shift in the the course content market as businesses look to get involved in the growing OER movement. STATE LEGISLATION: States invested significant time and resources in OER initiatives. 5 states passed OER legislation in 2017 with notable bills from Texas, Colorado, and Maryland. GLOBAL FRONT: In honor of the 10th anniversary of the Cape Town Open Education Declaration, OER advocates released a community resource with 10 new recommendations to move open education forward. Delegates from 111 countries at the OER World Congress adopted the 2017 Ljubljana OER Action Plan. OPENSTAX SAVINGS: Students are projected to save an estimated $145M in the 2017-2018 academic year by using OpenStax books. GO OPEN SUMMITS: 2017 #GoOpen Summits reached 325 school districts and more than 2,000 educators across the country. CAMPUS SAVINGS: Campus OER initiatives saved students millions of dollars this year. Specifically, Maricopa Community College saved students more than $9M and Georgia Highlands College who saved students $3.8M. 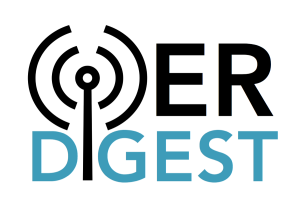 Send us your institution’s savings at oerdigest@gmail.com and we may feature them in a future Digest! Dr. Emma Hutchinson from the University of Victoria adapted Principles of Microeconomics originally published by OpenStax. This adaption expands on the original book and includes more than 200 multiple choice questions and eight case studies.